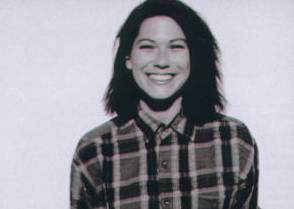 Long Live Kim Deal; Kim Deal is Dead. Long Live Kim Deal; Kim Deal is Dead.. Gods take all forms; but Rock Gods take only one. Disciple disappointment in any form leads to chaos and abandonment. Just ask Kim Deal, pictured above. While Charlie Thompson plays pedal organ in Reykjavík, Kim frets about how to keep vodka out of her dressing room during their tour stop in Los Angeles. Modern rock’s most influential band; the Pixies, made a documentary released in 2006 called loudQUIETloud; and this documentary is one of the most revealing stories about one women’s descent into drug abuse in the rock world since Janis Joplin. In general, during the entire film, Charlie, Joey Santiago, and David Lovering seem to be interested in to further success and dollars of the film. Even Lovering speaking about his misguided interest in his worthless magic career brings a bit of freshness to his eyes. But interspersed throughout THAT interview we see blurry scenes of Deal in a hospital gown or some such. Throughout the film its clear that Deal has been ‘dealing’ with addiction problems of one kind or another, yet her colleagues appear to have been able to make lives that the rest of us strive to. Toptal: Cannibals or Can-Do (but with cannibalistic tendancies?). New Guineans are dark skinned- who is this? As I write this I happen to be watching a documentary about the search for Michael Rockefeller on Netflix. As we all know, he was lost after his New Guinea research group’s canoe capsized about 3 miles off the shore of that large island in 1961. 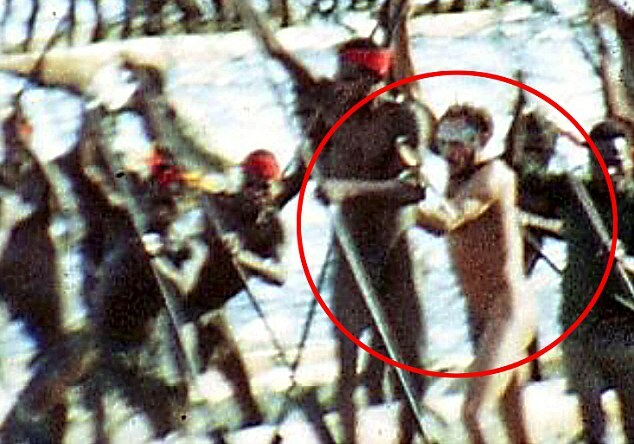 New Guinea is to this day populated by cannibals. Linux developers remind me of cannibals in some ways; they devour the remains of the code of their predecessors hoping to gain the power of those of their ancestors great incantations and prayers. I, on the other hand, often feel like Michael; wide-eyed and wondering at the activity of the natives, how they are able to accomplish their great feats of skill, and marvel at the works of their ancients. “How did they manage to do THAT?” I ask in boyish wonder. Great temples of automation and protocol translation, foundations of kernel monotheism under mighty shrines of coded cleverness that I feel like I could never create. Artful relics of logic such as web.py and the high priests who chanted them into existence such as Aaron Schwartz, devoured even to his marrow in the hope that his strength would power his tribe. This is how I sometimes feel posting in a forum filled with so many great coders. For example, I once posted what I thought was a fairly innocuous technical reply to some rant on Slashdot, only to be devoured by the techno-elite about how wrong and stupid I was. Whoah was me. Or close the wall up with our source code dead!’, sorry for the paraphrase. in an effort to reach out to more sources of income I have made a fervent appeal to the good folks at Toptal. Indeed, Toptal are not the tribe I fear; in fact, I believe they will do their utmost to elivate and season my flesh to its most tasty; its the tribes of flesh-eating warriors I fear. Will they mock my weak spells and attempts at immortality, wasting my flesh as feed for boar and other farmed animals, or will I go native, and gain a sort of immortality, living on in the code of my forebears? Toptal, in their wisdom, ask that supplicats write some sort of entry about Toptal in their blogs. Well, I have done so, and in so doing fear for my very flesh, but also hope that I have embarked on the greatest journey of my life. A Journey into Heart of Darkness, or High Brasil? I’ll let you know in my next post. Ciao! You are currently viewing the archives for March, 2015 at Twittech Conditional Behavior Modification.